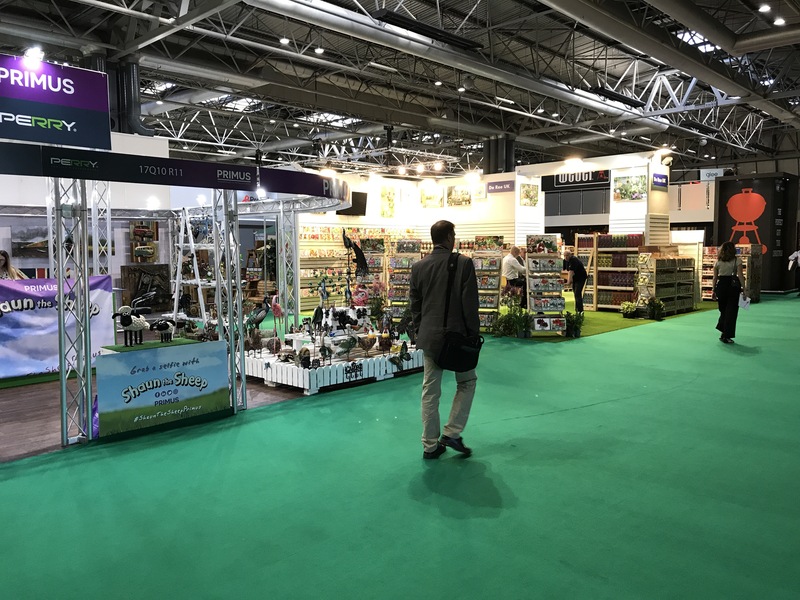 It all started as a wide invite to the #gdnbloggers on twitter, asking if anyone would like to come along to the Glee Trade show held at NEC Birmingham. It’s one of those trade shows I have never been to, so that had to change! Glee was being held from Monday the 11th until Wednesday the 13th. As Mum disappeared on holiday, I was literally left holding the baby, so on a lovely Wednesday morning, me and Alannah (one year old apprentice!) headed up north toward Birmingham. Ahh the delights of the early morning drive, watching the sun appear over the horizon,like a glowing ball of fire whilst working out the best place to stop for breakfast! Soon the horror of both the motorway service stations and the traffic disappeared as I reached the NEC. First stand I stopped at was the rather excellent Gold leaf gloves, I am a great fan of these gloves and personally wear them when proper hand protection is needed. They are made from deer leather which makes them so supple. They have a new range out this year beautifully decorated with prints from the RHS library, will make a very practical and beautiful present for someone. It also won new product of the year in this years show, well deserved! Next stop was the Vitax stand, it’s no secret I am a great fan of their products, Vitax Q4 is the best all round fertiliser I think. What impressed me the most on their stand, was the product for box hedging and positive point of sale information explaining how best grow the plant to fight box blight, giving I felt a really positive look on using box within a garden. I know it is done to sell their product but never less it’s a really good bit of positive advertising! Vitax also have some great new products out for release next year, I think the clematis one will be a massive hit! The Niwaki stand, don’t need to say much more do I? Just quality quality Japanese pruning and garden equipment, just top stuff! Deluxe built and looking bird boxes and tables, again another product that just oozed quality and ideal for attracting in wildlife and just looking damn good at the same time! Check out The Beautiful Birdhouses! I have heard about Dale composts a bit online over the past few years and it was great to finally come face to face with the product and the people who produce it. Dale composts are made using just 2 main ingredients, Bracken and wool, these two products make a really fine compost that covers all the need of growing plants. I am so looking forward to trialing it this compost next year! Some interesting new things there. MO Bacter is something I’d like to have a go with next year (if I can find a stockist that isn’t Amazon) and that Australian seaweed product will certainly help if I accidentally plant something upside down. 🙂 Mud Daddy seems a simple but effective solution to cleaning – even when there’s access to a tap, if you need detergent or something, it’s a pain; mixing the necessaries in the device would be a comparative doddle. Did you get to meet Jake on the Niwaki stand? Must dash – my wishlist has just arrived from Beth Chatto! I didn’t this time but have in the past, great bloke!